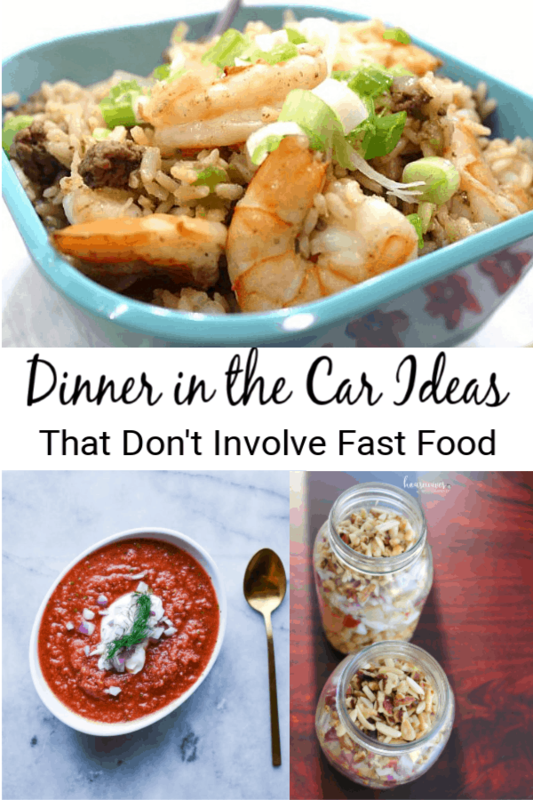 We’ve got a great list of quick dinner in the car ideas to keep you out of the fast food drive-thru line and on your way to wherever you need to be! Whether you’re working late hours, traveling, or shuffling your kids to and from sports practices and games, eating dinner in the car is oftentimes an absolute necessity. 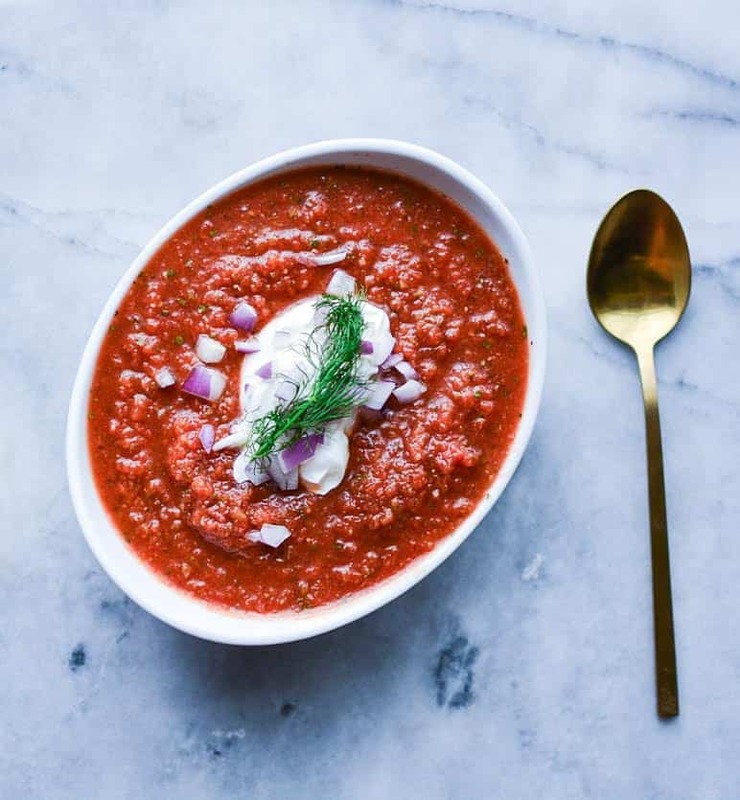 In order to help you plan ahead and feel good about what you’re eating on the fly, I’ve given you several delicious, healthy recipe options. Although we don’t encourage eating in the car while driving, we know how tough it can be to sometimes get from point A to point B without having to stop at home to make dinner. So, being prepared with great food options before the next activity is a beautiful thing! Therefore, just pull over to a nice shady parking spot and enjoy your meal without losing precious time. In addition, I’ve provided links to some handy food containers you can use for whatever recipes you decide to make. Pasta salads are great for transporting because you don’t have to heat them up. Just put them in a container with a lid, keep chilled in a little cooler with a fork, and you’ve got yourself an easy to eat dinner in the car. 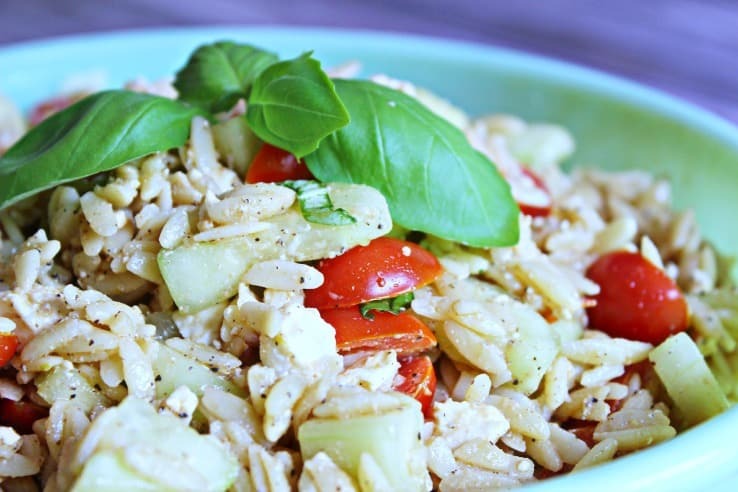 We love our Summer Fresh Orzo Salad. It’s so easy to make and so yummy! In addition, the feta cheese adds a good amount of protein to the salad. But if you want to add even more protein, add some grilled chicken to make it more satisfying. For transporting pasta salads, we think these glass meal prep containers are perfect. I’m not talking about lettuce, tomato, and a slice of cucumber! On the contrary, I’m talking about a good, hearty green salad! 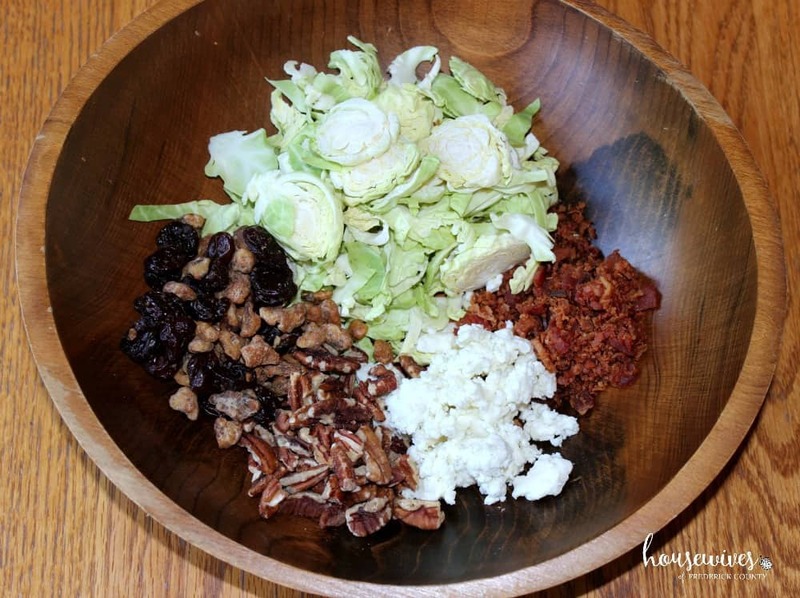 Our Brussels Sprouts Salad, Green Bean Cucumber Salad and Chicken Cabbage Salad with Almond Dressing recipes are the perfect quick dinner in the car choices! 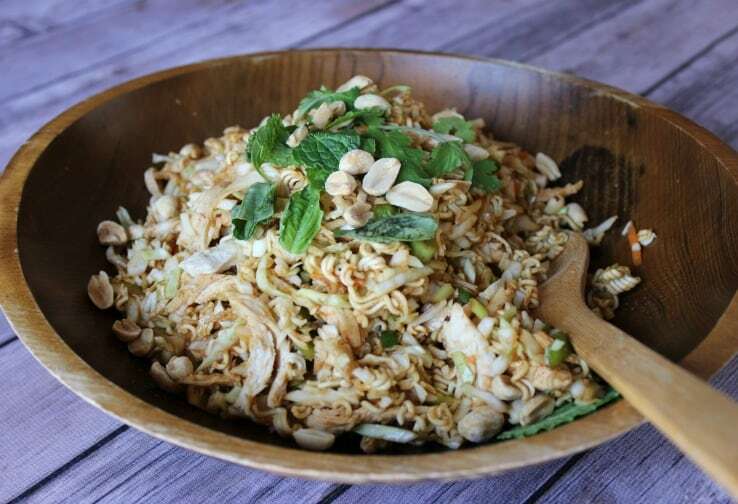 Each of these salads has nuts or seeds, healthy veggies, protein, and a delicious dressing. 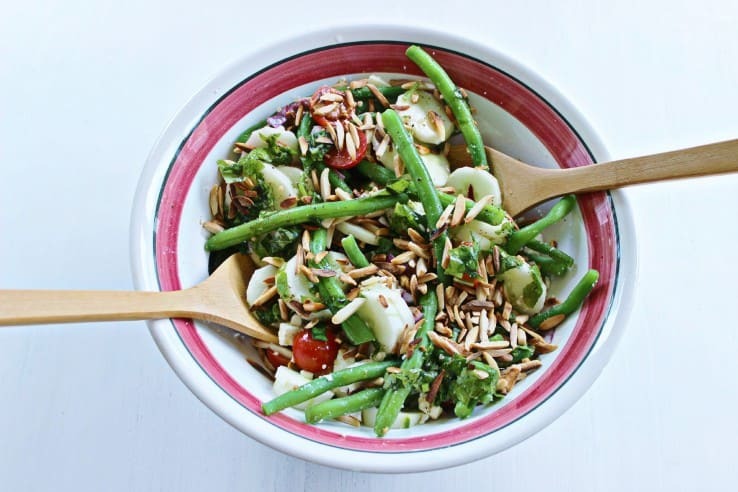 Not only will these salads fill you up, but they’ll also wake up your taste buds! 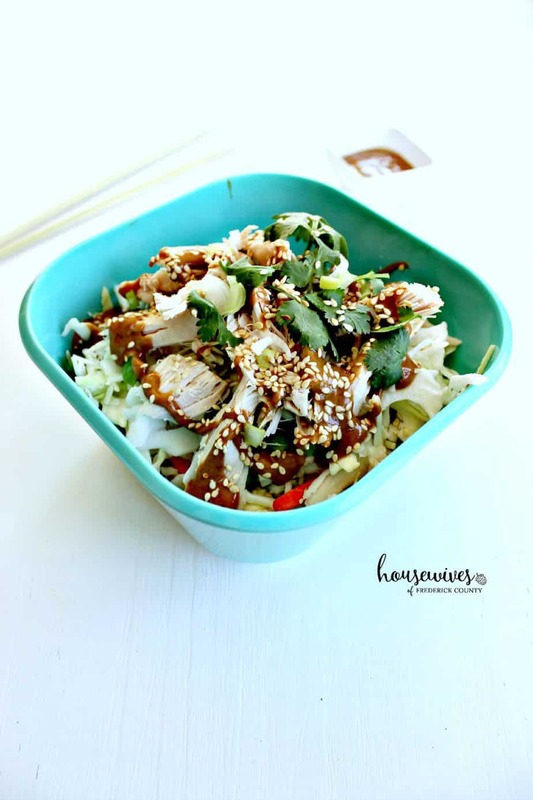 For these green salads, we really like the Bentgo Salad Containers. They even come with a disposable fork and you can separate the salad, toppings, and dressing in their own compartments to keep your salad as fresh as possible. Sandwiches don’t get enough respect! Because, really, they’re the perfect on-the-go meal option! 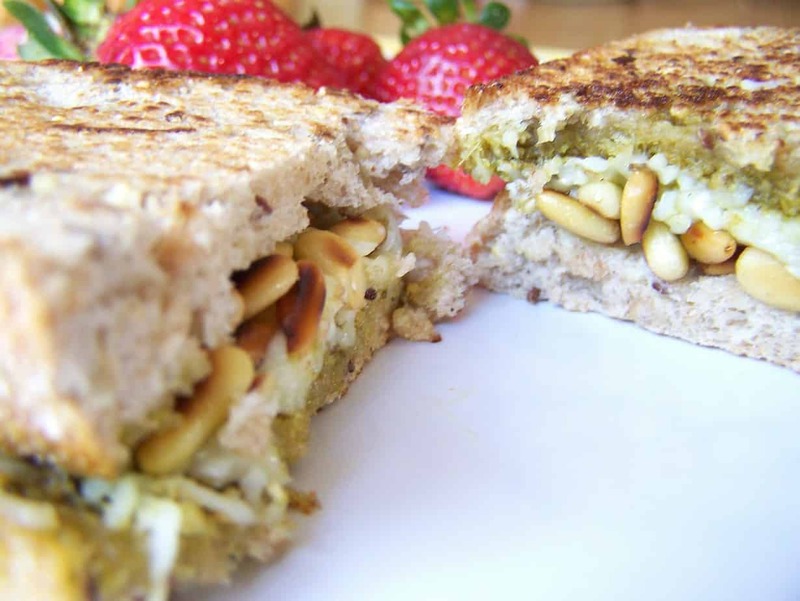 Our Pesto, Toasted Pine Nut, Mozzarella Panini recipe is an amazing sandwich choice! For our sandwich quick dinner in the car, we like these 3-compartment food containers. They’re perfect for storing your sandwich, some cut up fruit and some nuts or whatever side you’re craving. Cold soups are a great option for a quick dinner in the car. Try some delicious Classic Spicy Gazpacho or our Chilled Cucumber Soup. 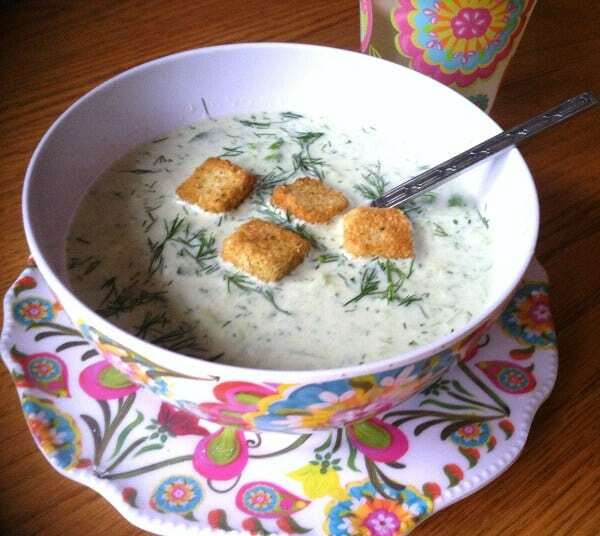 If you’ve never tried cold soup before, you must try these recipes! And you don’t even need a spoon if you use these 20 ounce meal mugs. They’re perfect for enjoying your soup while traveling. Just pop the lid off and sip your yummy soup! To me, there’s nothing better than a meal in a bowl. Because they have all the ingredients of a 3 course dinner, but are nice and compact and can be taken anywhere. 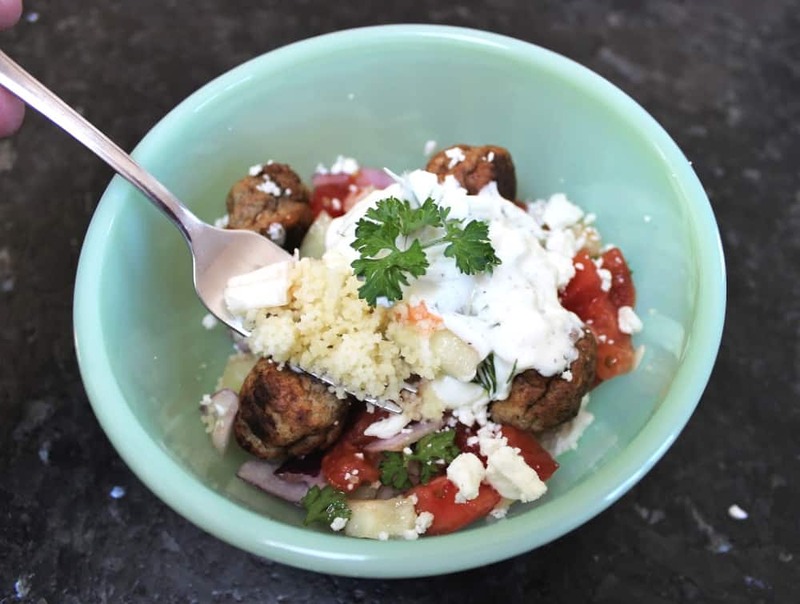 Our Easy Greek Tzatziki Bowl with Meatballs & Couscous and Dirty Brown Rice with Shrimp recipes are the perfect choices for a dinner in a bowl! A great travel container for bowl recipes is this collapsible silicone bowl with lid. You’ll be the envy of all the other sports parents at the ballfield. If I’m going to eat a salad for dinner, this is the kind of salad I want! Something hearty and filling and full of flavor. Yet, something that’s healthy too! 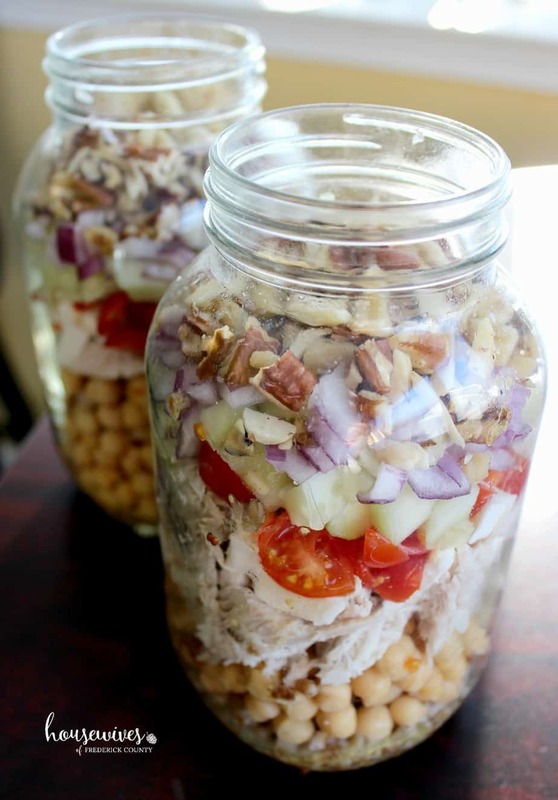 Our Asian Chicken Salad and Layered Salad in a Mason Jar recipes are great meat, grain, and veggie salad options! I really like the quart size wide mouth mason jars for the layered salads because they’re easier to layer ingredients and they fit a LOT! But, remember to bring an extra bowl to use for pouring out the salad for eating. The idea behind these layered salads in a jar are to keep all the ingredients as fresh as possible without getting soggy. So these are my quick dinner in the car ideas! As with all of these recipes, you do need to plan ahead. Or as most people call it these days: meal prep. So be sure to click on these recipes and print them out for the next time you go to the grocery store. Or even better, order your ingredients online for grocery pickup or delivery. 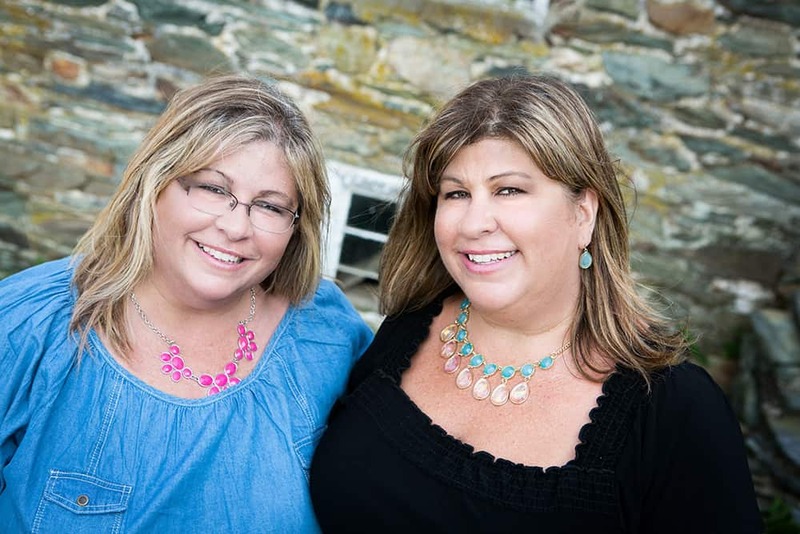 To do that, see our post on Online Grocery Shopping in Frederick, MD. And don’t forget to arm yourself with the proper food storage containers, utensils, and a nice little travel cooler to keep them in. We really like this CleverMade soft-sided collapsible cooler. It’s a nice large size to fit in all of those containers and drinks. 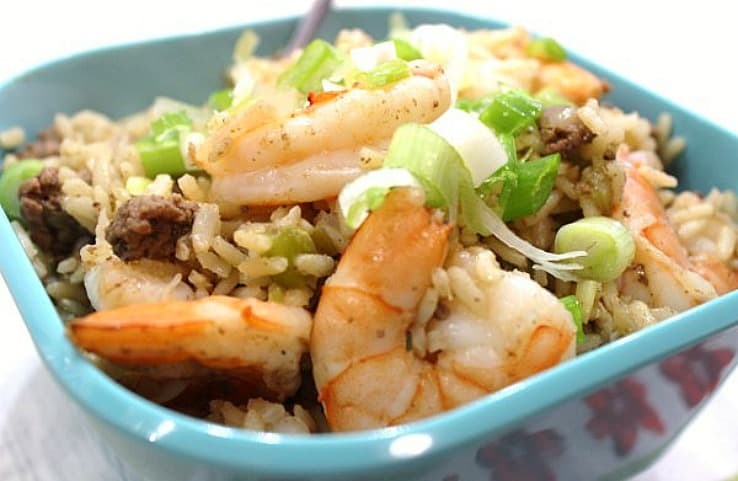 For more quick and easy dinner ideas, read our really popular post on 10 Quick & Healthy Dinner Ideas For The Frazzled Sports Mom. And if you’re looking for more snacky ideas, check out this article by BuzzFeed, 25 Make-Ahead Snacks That Are Perfect for Traveling.